height 34 in. (86 cm), bloom 8 in. 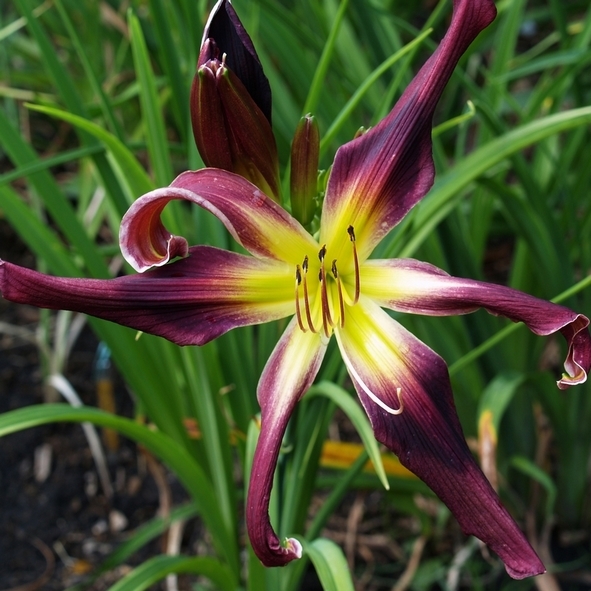 (20 cm), season M, Semi-Evergreen, Diploid, 16 buds, 4 branches, Unusual Form Crispate-Spatulate, Dark wine red with dark purple eye above green throat.